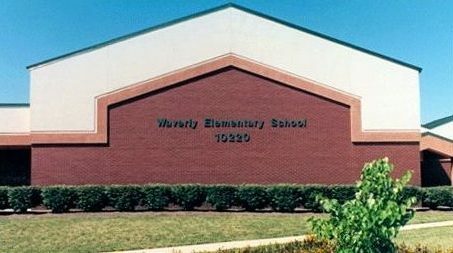 The Waverly PTA works all year long to enhance your child’s education with special programs. Your fundraising support and membership truly counts and is appreciated by every child who attends Waverly. A portion of your dues goes directly into our budget to fund many wonderful programs. For more information on volunteering your time and talents to the Waverly PTA, just contact one of the chairs or committee members listed here. Backpack Buddies- coordinates food collection for children in our local Head Start programs. Book Fair – Opportunity to support our school by purchasing Scholastic books. Fair culminates in a festive night with guest staff readers. Boxtops and Bonus $$$ – Collecting box tops and keeping track of store credits. This results in selecting equipment, supplies, and money for our school. Cultural Arts – Special in-school curriculum based presentations which are entirely funded by the PTA. Directory/Handbook – This useful resource is provided by the PTA as a way for parents to communicate with other Wildcat families. Family Enrichment –Organized spirit-building events for Waverly families; such as a back-to-school picnic, Fall Fest, winter dance, Bingo night and end-of-year social. Fifth Grade Activities – Organizing all the fun for our “Big Kids on Campus”. Green Committee – work with Staff representatives to bring green practices to our school. Historian – Providing school event photos for the front bulletin board and the End of Year Memory Book. Holiday Shoppe – Offering a fun way for Waverly kids to shop for parents and friends. Hospitality – Providing meals and refreshments at various school events to staff and volunteers. Keys for Reading – Organizing a fun reading program that rewards Wildcats with tickets to a Frederick Keys baseball game. Party Coordinators – research, plan, and purchase the snacks for our Halloween and Valentine’s Day parties. Reflections – Working with this National PTA Program to increase awareness of the importance of arts in education. School Supply Kits – Organizing the sale and distribution of a major time-saver! Sign – Keeping the community in the loop by updating Waverly’s marquee. Spirit Wear – Coordinating the sale of those cool Waverly logo shirts, hats, etc. Staff Appreciation Week – Making the week special for all our teachers and staff by providing a luncheon and various activities throughout the week to show them our gratitude for all the time & effort that they have put into our children’s education. Website Editors – Helping to make our PTA website a valuable resource for parents. Wellness Committee- organizing healthy events, such as, our Fitness Fridays. Yearbook – Collecting photos and designing our treasured end-of-year keepsake.